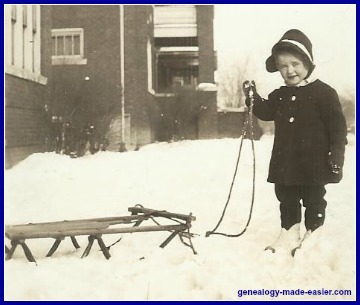 If you are using digital records in your genealogy research, there are several types. Here is some information about what all those strange letters mean! Digital records are the newest wave of storing genealogy information. You get digital files in many formats and ways when you do any genealogy research on your family trees. Digital merely refers to the way in which data are organized and saved. For instance, when you take a picture with a digital camera, the image is stored in some format on a media card in your camera. There is no film in the camera in the manner of older analog cameras. Thus, you produce a digital record. The image stored on that removable media card in your camera can be copied to a hard drive, written to a CD or DVD, or e-mailed as an attachment to a fellow family tree researcher. Genealogy sites such as ancestry.com offer memberships giving you access to digitized images on that site. An example is the US Census data. Ancestry has digitized all the remaining pages of the US Censuses from 1790, the first one, through the 1940 census, the latest one to be released by the Census Bureau. They make available those pages on their site through the membership. So, you can go in, search the index of a particular census such as 1880 for a family member by name, and look at the digitized page on your screen. But, you can also print that page on your printer locally, or you can save the image as a digital record which you can then look at later without being on the Ancestry site. That way you can e-mail a copy of a page to a family tree researcher in your family; you can attach it to the page in your program for that individual; or you can just save it so when you want to look at it, you can. You make an audio file when you use a tape recorder or micro-cassette recorder while talking to an individual or a group of people about your family, or when you use a microphone at your computer to talk a family story. You create a document file when you use a word processor such as Word or WordPerfect or save a copy of your family tree from your genealogy program in Adobe Acrobat format. You make an image file when you take a photograph on your digital camera, or save a copy of a census page as an image from the web.